The first ever video album, "Eat To The Beat", has finally been released for the first time on DVD! Videos for every song on the album "Eat To The Beat" are included, featuring the band as they appeared in 1979, as well as the entire album on CD in stunning remastered sound. 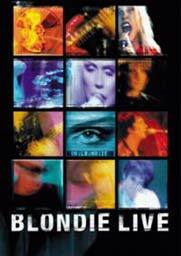 This is a must have for any Blondie fan! CD/DVD Collectors Edition. EMI. 2007. The "Greatest Hits" CD/DVD set includes all the hits, plus three new tracks: "In The Flesh (Remix)", "Good Boys (Blow Up Mix) and "Rapture Riders (Single Edit)", plus the videos to everything from "X Offender" to "Good Boys". Besides a slightly adjusted title and cover image, the DVD is now mastered for US DVD players. Click here for more information and to watch samples from the DVD. 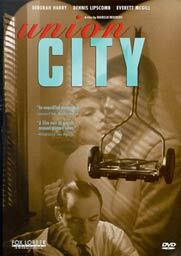 A new wave, neo-noir thriller, this film is set in a 1950's industrial town across the river from New York City. A jealous accountant becomes obsessed with catching whomever has been taking sips from his morning milk delivery - with violent results. Deborah Harry's major film debut. 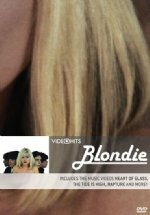 This special edition DVD includes never-before seen deleted footage, notes from director Marcus Reichert, and Deborah Harry's screen test. Debbie has a mainly non-speaking role in this comedy/mystery/drama by Amos Kollek, starring enegmatic German actress Hanna Schygulla. The movie is also known as "Crazy Streets". 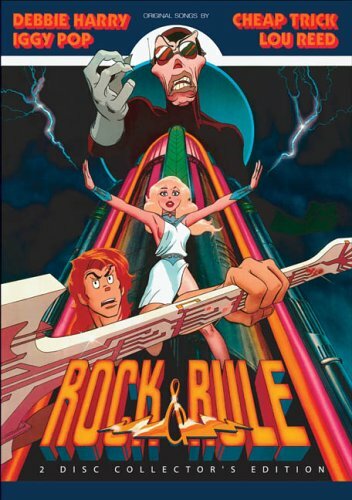 The animated cult classic from 1983 gets it's first DVD release! Debbie Harry provides the singing voice of Angel - the lead character based on Debbie herself - who's voice is needed by Mok (singing voice by Lou Reed) to summon a demon from another dimension. Robin Zander of Cheap Trick provides the singing voice for Omar, Angels' boyfriend and bandmate, in this futuristic post-nuclear war film where only descendants of dogs, cats and rats survived. EMI's budget line video hits compilation. Direct from the A&E studios, it's Blondie Live By Request. Contains four bonus tracks not shown on television! Sarah Polley stars as Ann, a young wife and mother who's recently been diagnosed with a terminal illness. After vowing to keep her terrible news a secret, Ann begins living with an intensity she never thought possible. With senses heightened and passions rekindled, she quickly begins putting her life in order. 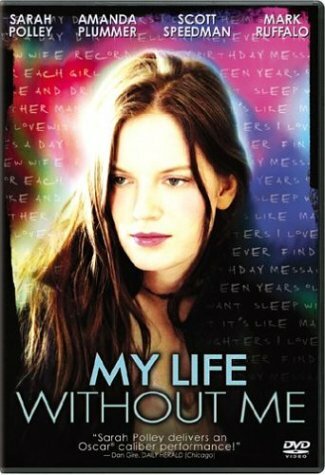 Gripping, joyful and sensitive, My Life Without Me is a touching tale for today that challenges us to live as if there were no tomorrow. Sarah Polley (eXistenZ, Sweet Hereafter, Go, Mark Ruffalo (You Can Count on Me, In the Cut), Scott Speedman (Underworld, TV's Felicity), Deborah Harry (Spun, Blondie). Dimwitted hit man August (Michael Rapapaport) has taken out the wrong guy, and now his mentor, Ronnie (Gary Stretch), has some major damage control to take care of. But Ronnie has to work fast, or the boss will have to take care of matters himself--and neither August nor Ronnie will like his methods! This action/comedy also stars Ally Sheedy, Frank Whaley, James Russo, and Robin Givens. Deborah Harry has a small part as a mob boss. Filmed live in 1979, this program showcases the band performing their utterly contagious classics at Glasgow's Apollo Theatre. Songs include: Dreaming, Slow Motion, Shayla, Union City Blue, Atomic, Eat to the Beat, Picture This, Pretty Baby, Heart of Glass, Hanging on the Telephone, Sunday Girl. 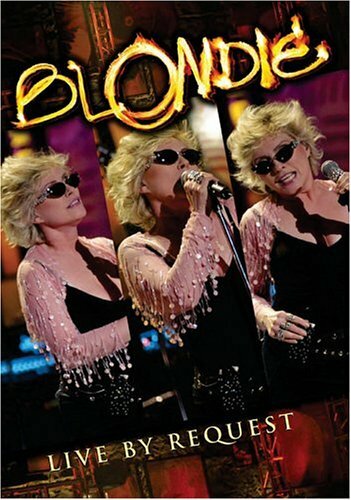 A MUST HAVE for any Blondie fan! When college drop-out Ross becomes the local crystal meth cook's personal driver in exchange for free drugs, he has no idea what he's in for. Starring: John Leguizamo (Moulin Rouge, Empire), Brittany Murphy (8 Mile, Just Married), Mena Suvari (American Beauty, American Pie),Jason Schwartzman (Slackers, Rushmore), Patrick Fugit (Almost Famous, White Oleander), Debbie Harry (lead singer of rock group "Blondie"), Mickey Rourke (The Pledge, Get Carter),Eric Roberts (National Security, TV's "Less Than Perfect"). 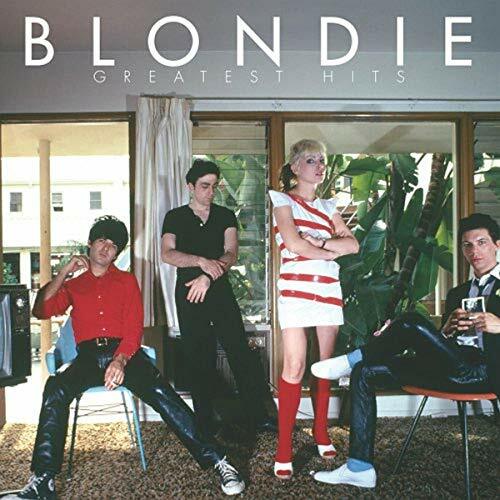 Blondie's "Greatest Video Hits" includes a re-release of the entire 1981 video "The Best Of Blondie", including the number one hits "Heart Of Glass", "Rapture", "The Tide Is High". Four bonus tracks are included - "Island Of Lost Souls", "The Hardest Part", "Atomic" and the uncensored version of their recent number one hit "Maria". Deborah Harry has a small cameo in this dark adult love story. There are two US versions - an R Rated version and an uncut, unrated special edition version. There is only one UK version. "Blank Generation" (1976, 55 min.) - This film from Amos Poe and Ivan Kral, shot at New York's legendary CBGB's, defines the birth of N.Y.C. 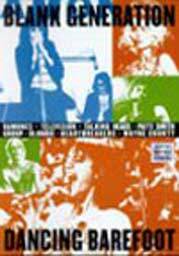 punk and new wave and is considered a cult classic due to its cutting-edge style and live performances from The Ramones, Blondie, The Patti Smith Group, Talking Heads, Wayne County, Johnny Thunders and the Heartbreakers with Richard Hell, and Television (post-Hell). "Dancing Barefoot" (1995, 60 min.) - A look at the N.Y. punk scene through the eyes of Ivan Kral, best known as guitarist and songwriter in The Patti Smith Group. This video features an in-depth look at The Patti Smith Group with lots of live footage and interviews from the '70s, '80s and '90s, plus live footage and interviews from Blondie, Iggy Pop and more! The story of Blondie as only "Behind The Music" can tell it. Interviews with Deborah Harry, Jimmy Destri, Clem Burke, Chris Stein, John Waters, Victor Bockris and more. This expanded version of the VH1 special also features the video "Maria". 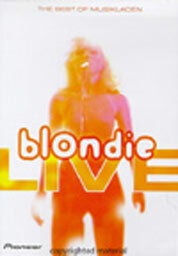 Blondie hit the stage on February 10, 1999 at New York's Town Hall for their first hometown gig in 17 years, kicking off their 1999 US Tour, and as the New York Post declared, "They had arrived." 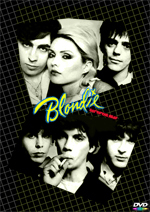 Although many would argue that Blondie's music never left the scene, their reemergence through touring and through their worldwide, multi-platinum album "No Exit" prove that the band Blondie are true groundbreakers in the music world. 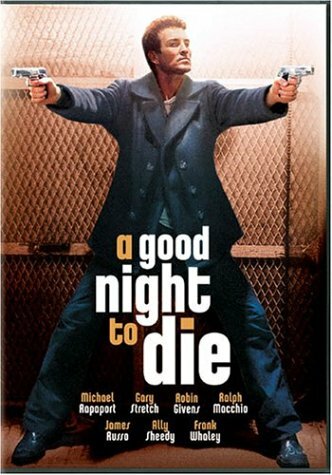 Bizarre black comedy about a Jewish gangster (Norman Reedus) and his psychotic mother (Debbie Harry). Debbie appears as a sleazy record company exec (wonder where she came up with that one...) in this cultish comedy by director Adam Dubin. Debbie gets to flex her considerable acting skills as a bitter waitress in a greasy spoon. 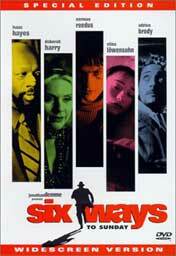 Stars Pruitt Taylor Vince, Shelley Winters, Liv Tyler, Debbie Harry, Joe Grifasi and Evan Dando. Directed by James Mangold ("Copland", "Girl, Interrupted"). 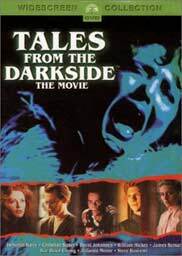 Debbie has a small part as an evil nurse in this "Tales From The Darkside" style horror anthology. 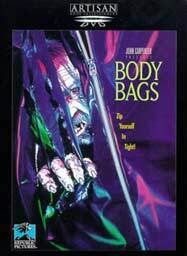 Also stars Mark Hamill, Stacy Keach, Twiggy and Sheena Easton. Released on DVD 7/25/2000. Debbie stars in the "wrap-around" story as a suburban cannibal in this anthology of three horror stories. 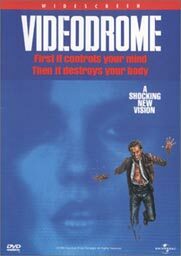 Debbie appears as Nikki Brand opposite James Woods as Max Renn in this David Cronenberg film from 1983. A show from the Tracks Across America tour originally filmed for HBO. One of the last concerts before Blondie's extended vacation in 1982. Tracks include "Call Me", "Rapture", "Island Of Lost Souls", "Hanging On The Telephone", "War Child", "Start Me Up" and more. 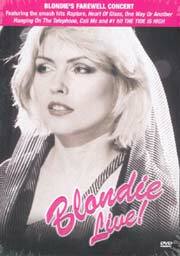 Trivia: The DVD cover picture is from the "Heart Of Glass" video shoot, not the concert. Debbie actually had much longer hair at the show. Debbie Harry makes her dramatic debut in this stylish 1979 film noir by director Mark Reichert. Chris Stein did the beautiful period soundtrack. Co-starring Dennis Lipscomb and Everett McGill. In Amos Poe's 1976 underground film, Eric Mitchell stars as Rico, a young New Yorker whose love for French New Wave cinema spurs him to live his life like he is a denizen of 1960s Paris. A photographer who fancies himself a gangster who uses his camera as a gun, Rico's carefully constructed world of illusion is disrupted when he falls in love. 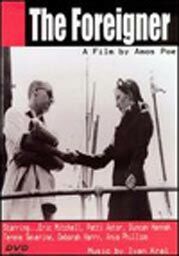 Starring Eric Mitchell, Patti Astor, Debbie Harry, Duncan Hannah. From 1978, this live special shot for German television includes the hits: "X-Offender," "Little Girl Lies," "Look Good in Blue," "Man Overboard," "In the Flesh," "I'm on E," "Love at the Pier," "I Didn't Have the Nerve," "Bermuda Triangle Blues (Flight 45)," "Kidnapper," and "Youth Nabbed as Sniper." This looks to be the same DVD as "Best Of Musikladen", in fact, the cover says "Musikladen" on it. Update: From our research, it seems the show "Beat Club" ended in 1972, and was replaced by MusikLaden. This show was filmed in 1978, so it must be a MusikLaden show. 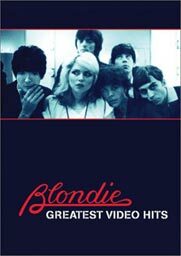 Taken from a 1978 German TV show, this 40 minute video include rare live versions of the Blondie classics: X Offender, Little Girl Lies, Look Good In Blue, Man Overboard, In The Flesh, I'm On E, Love At The Pier, I Didn't Have The Nerve To Say No, Bermuda Triangle Blues (Flight 45), Kidnapper, and Youth Nabbed As Sniper. A great slice of Blondie history! IMDB: "European secret agent Max Menace arrives in New York City, waiting for his contact to tell him his assignment. He becomes entangled with an assortment of odd characters and situations, but never learns why he's there." Starring Eric Mitchell, Anya Phillips, Patti Astor, Debbie Harry, the Cramps.